The Fiji Muslim national team have high hopes of winning the Fiji, Aus­tralia, New Zealand, Canada, America FANCA Muslim Foot­ball tournament despite losing 2-1 to Australia at Churchill Park, Lautoka yesterday. The side started quite well after Mosim Khan took a shot inside the box which found the back of the net for a 1-0 lead. Striker Abbu Zahid missed a golden opportunity when his kick narrowly missed. Mohammed Rahil, 19, came close to scoring several times but failed to find the mark. A tactical change where Za­hid and Zibraaz Sahib were replaced backfired when Aus­tralia hit back with two quick goals. 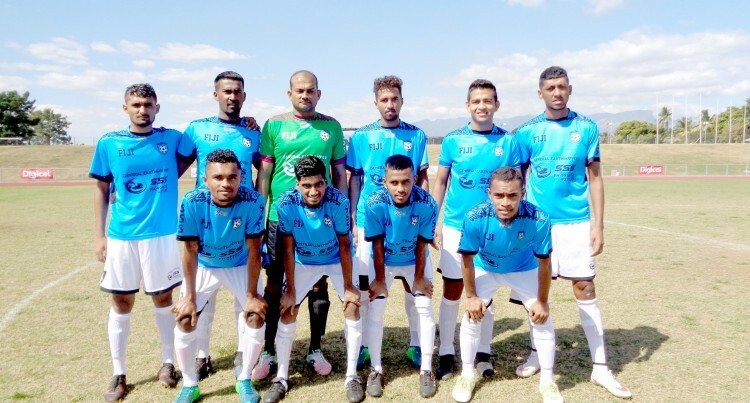 Fiji team manager Moham­med Mohin Rafiq said they had already qualified for the semi-final therefore wanted to give the two players some rest prior to the next game. “We rested a few of our play­ers just to ensure that they were not injured before playing the semi-finals,” he said. However, he said that they would come out strongly in the semi-finals against United States of America. Mohin said the players were all psychologically prepared to take on the Americans. The match was still in pro­gress when this edition went to press last night.